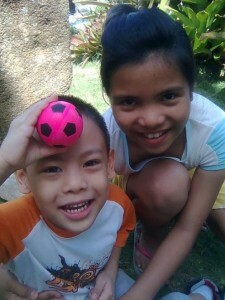 My son’s summer vacation started early because they had their Moving Up Day in school last March 12. His summer plans started right there and then. First, he went to his grandparents’ place in Cavite for a week; he also visited his cousins in Tagaytay while he was staying with his lolo and lola. This happened during the last week of March. 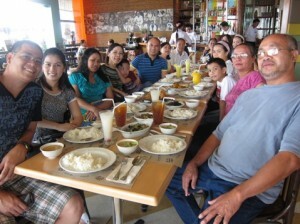 Last Saturday, April 2, the whole family went to Mall of Asia to celebrate my Nanay’s 60th birthday. We had lunch at Abe Restaurant. The children played in the inflatable playground afterwards; too bad, I wasn’t able to capture their photos. 4.	go to the beach and play with sand. We plan to enroll our son in art class either in school or at Robinsons Galleria. His Dad would like to enroll him in taekwondo class, but my son said it’s not fun. 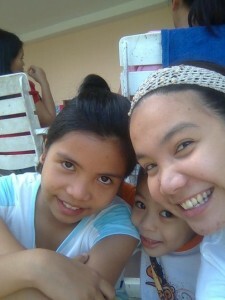 This coming May, we’ll go to the beach and hopefully Baguio, too. So, what are your plans this summer? wow! all games and all play! boys! like my little boy! i can’t even use the PC because he’s on it all the time! so i’m back to my netbook… anyways, have a fun-filled summer! enjoy! here’s my Mommy Moments entry! hope you can drop by! goodluck for the other plnas coming! mine is up too tech..see yah! Boys will be boys…Joaqui also just wants to play the whole time this summer. : ) Enjoy the rest of your summer plans! Art classes will surely help his already wide range of imagination. Good luck! follow mo n b blogs ko? nakarami na ng summer activity si little boy ah.. Visiting from Mommy Moments 🙂 Have a nice day! looks like your son wants to spend all summer playing in many different ways haha! 😀 wish we could go take the kids to the beach too. Baguio is a great idea for a summer vacation. Summer is for fun , play and games!! Best time for the kids! Taekwondo is not fun – that cracked me up. Sorry, Dad 🙂 Their moving up day was really early, wasn’t it? Or is it just that way for kids that age? Thanks for peeking at my plans. Don’t hesitate to drop by my STREET. You have your hands full with all your summer activities…Enjoy!